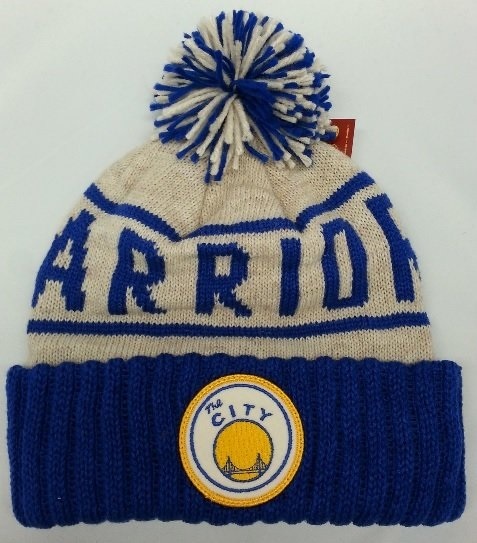 Protect your head and ears in the cold, blustery weather by wearing this stylish retro cuffed knit cap from Mitchell and Ness. Features embroidered vintage front team logo, 85% acrylic, 15% wool knit. Tan tone w/ bold "WARRIORS" in blue w/ blue cuff. 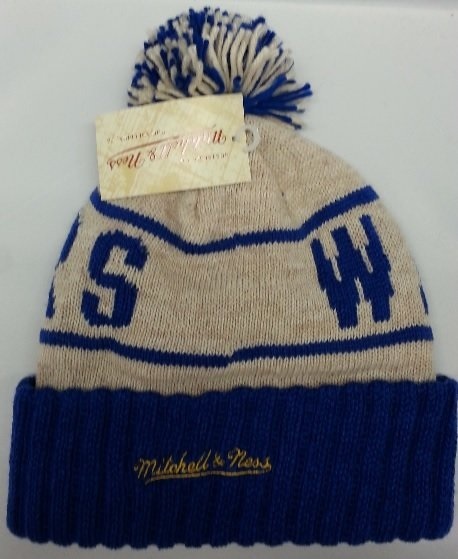 Blue / Tan colored pom, and Mitchell and Ness back embroidery. Front cuff has "The City Bridge" logo! Officially licensed by the NBA.